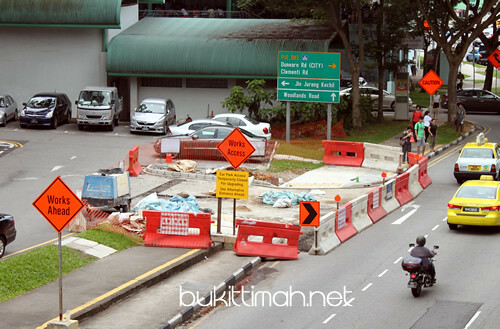 The Bukit Timah Food Centre Car Park Entrance / Exit renovation has progressed for some time now. We can finally see the changes. It looks like it should be completed soon.